Itty Bitty Bugs are full of surprises! Fun little stickers with lovely designs. 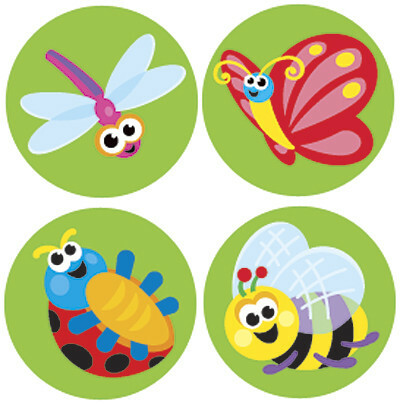 Featuring bees, ladybugs, dragonflies, crickets, ants and butterflies.